Sykes, Assistant Professor of Music, was the first musicologist to conduct fieldwork in Sri Lanka’s former warzones of the east and north as these regions opened to the outside world for the first time in decades. Originally conceived as a study of the ritual drumming of the island’s Sinhala Buddhist community in the far south of the island, his book became a study of how these regions and their geographically disparate communities have a somewhat shared music history. Sykes, a long-time drummer who has recorded and toured with numerous indie and noise rock groups, became interested in Sri Lanka’s music as a graduate student at the University of Chicago. There, he became increasingly intrigued by the drumming of Sri Lanka’s Sinhala Buddhist ethnic majority. During his fieldwork in Sri Lanka between 2004 and 2008, he began to recognize that numerous musical connections exist between Sinhalas and Tamils, sparking an interest in Tamil music history and Tamil musicians’ experiences during the war. The Musical Gift also explores a newly discovered history of musical exchange between ethnic groups in the domain of popular musics, and how ethnonationalists on both sides of the conflict sought to obscure connected musical histories. 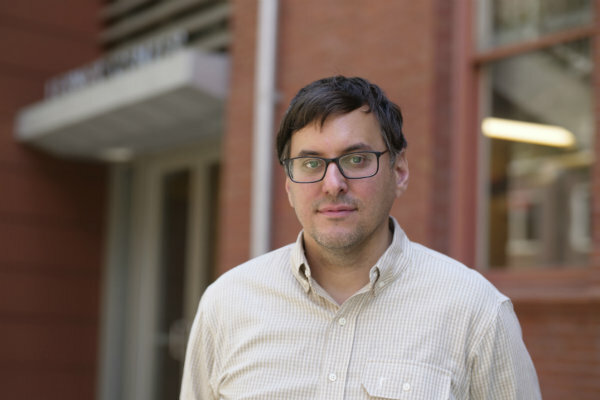 Sykes has also investigated other phenomena, including a theory on the relationship between sound and the experience of war, in the article, “Ontologies of Acoustic Endurance: Rethinking Wartime Sound and Listening,” published in the journal Sound Studies. In the end, he says, sound and music can constitute shared experience even when difference or discord is highly visible. “My research explores how we might choose to define music history as a space of connection and respect for others rather than merely as a space for the demarcation of communal difference,” says Sykes.